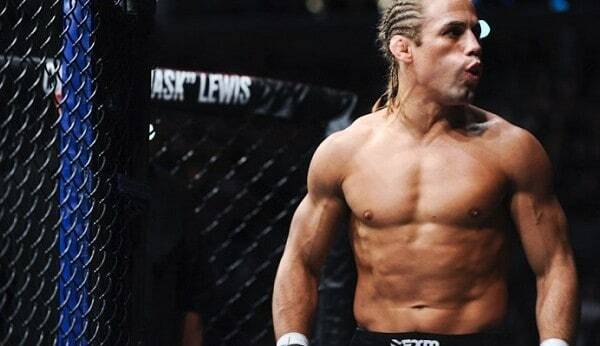 Following his loss to UFC Bantamweight champion, former WEC Featherweight champion and perennial UFC title contender Urijah Faber finally has his next fight booked. The controversial stoppage at UFC 169 marked Faber’s third loss in a UFC title bout and once again put him to the back of the line for a title shot. After a friendly Twitter exchange between the two, a fight between number one ranked Bantamweight Urijah Faber and 13 ranked Alex Caceres has been made official for UFC 175 on July 5th in Last Vegas, Nevada. The 25 year old Caceres is currently riding a five fight unbeaten streak, which included a come-from-behind submission of Sergio Pettis with only 21 seconds remaining in the bout. For Faber a win at UFC 175 would put him back in the win column and be the first step back to title contention. But for Alex Caceres a win over Faber would not only be by far the biggest victory of his career, but would make him an instant title contender in the Bantamweight division.